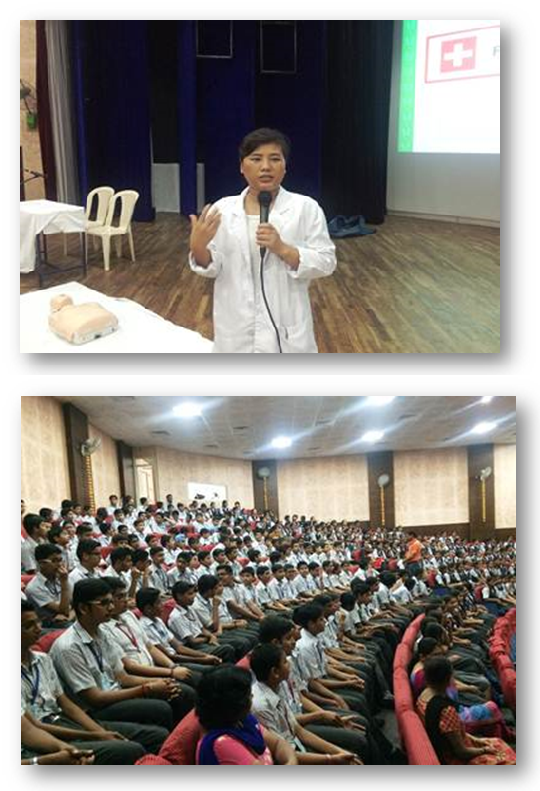 FHM organized a First Aid and Basic Life Support training workshop for students and teachers of Blue Bird High School, Panchkula. Over 200 students and 12 teachers attended the workshop. The training was imparted by our ACLS & BLS certified instructors lead by Sister Shashi, Assistant Chief of Nursing, Sister Gloria and Sister Anna, Clinical Instructors.